Home / Success! Ilkeston to Get Station! Success! Ilkeston to Get Station! 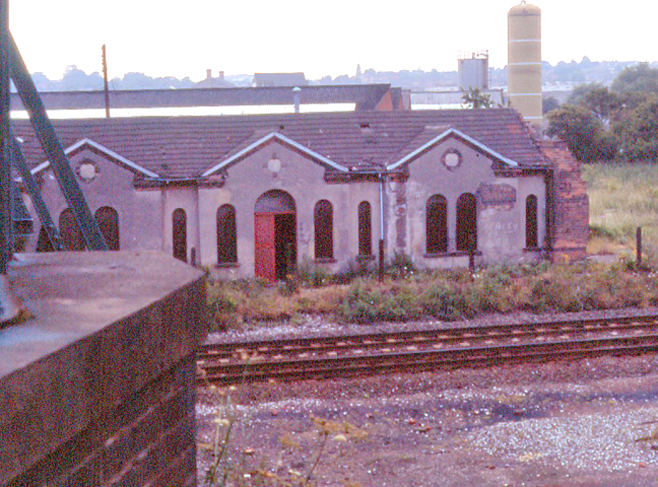 Ilkeston’s last train station, Ilkeston Junction, was taken away in 1967 following the closure of Ilkeston North three years prior. Recommendations to the government from one Richard Beeching, Chairman of British Railways, resulted in massive changes which saw over a third of England’s rail network disappear in an attempt to save money on a botched modernisation process. Over 2000 stations closed and thousands of miles of track were removed. The “Beeching Axe” fell on Ilkeston and decapitated a vital transport link. In the past we were known as “the largest town in England with no railway station” which may partly account for the withering local economy and absence of retailers in recent years. Indeed, once upon a time, Ilkeston was busy and thriving. Now it provides the kinds of amenities tailored to a mere existence of its residents. Finally, it was announced in 2015 that Ilkeston had been successful in its bid for the station funds and after repeated delays (caused by various issues including flooding concerns and endangered newts) work would begin. We all hope the new station is a catalyst for renewed interest and pride in our town. A new station could relieve congestion on roads such as the A609 and possibly all roads into Ilkeston, simultaneously addressing safety issues. A previous concern to this road congestion issue was the prospect of new housing in Ilkeston would serve only to exasperate the situation if the station was not provided. Economic deprivation and unemployment in North Erewash is amongst the highest in Derbyshire and car ownership is low. Those whose employment hopes lie outside of the borough will need to be able to travel further afield rather than relying on over-crowded, under-performing bus services, which, again, puts Ilkeston at a disadvantage. In 2007 The American Adventure closed its gates for good after struggling to maintain a steady flow of punters. Upon it’s opening in 1987 it was heralded as one of the UK’s first major theme parks and received an investment of approximately £8m. Twenty years later it remains abandoned and once more the Coal Board must find a buyer for the land. If Ilkeston had never lost its train station in the first place, would this transport link have been sufficient to bring paying customers to support the park ? This is yet another example of a failed Ilkeston business that had potential. We can definitely say the landscape of our town today could be somewhat different if only we always had a railway service taken for granted by other towns and cities in England. Network Rail proposed a £250 million investment in the Erewash line following recommendations for new signaling and the likelihood of a new East Midlands Control Centre. It was also suggested the junctions at Trowell, Ironville and Codnor Park should be redesigned and rebuilt. This seemed the best time for Derbyshire County Council to seek the project funding for an Ilkeston station and remained an issue to which they are committed. In 2009 a report by the Association of train Operating Companies (ATOC) was published entitled Connecting Communities: Expanding Access to the Rail Network identifying commercially viable rail network expansion schemes. “Ilkeston Parkway”, the site of the former Ilkeson Junction & Cossall station is amongst these. Network Rail requires that any infrastructure changes, improvements or development be taken forward through their Governance for Railway Investment Projects (GRIP) which is an eight stage review process. Documents for the GRIP3 stage were provided to identify preferred location and options for station facilities such as car parking and bus access. The latter stage, GRIP4, involved the submission of a planning application. In 2011 capital investment hopes suffered a setback when it was revealed that a £100m Network Rail funding stream, the “Station Commercial Project Facility Fund” (SCPFF) was for maintenance and development of existing train stations, not new projects. These terms were initially ambiguous and so the bid failed. “On a technical stage we are very close, we just need the funding. We could deliver the station quite quickly subject to planning applications. The investigation, commissioned by Derbyshire County Council, showed the station would generate about 120,000 passengers a year, as well as revenue of £18.7m over 60 years. The councils of Ashfield, Broxtowe, Erewash, Gedling, Nottingham City and Rushcliffe worked together as part of the Greater Nottingham Core Strategy in order to share staff and resources to produce more consistent and aligned strategies. By working together, they reasoned, it would be easier to access government funding pools. The Core Strategy draws on the emerging Erewash Sustainable Community Strategy and other existing strategies of the Council and other organisations which have implications for the development and use of land. It aims to deliver local priorities for development in line with the Sustainable Community Strategy, builds on the principles and objectives of the Strategy and shares a common basis for community involvement throughout. • Estimated cost for the station and associated facilities was set at just over £4 million, though it has been suggested that £5 million could have been a realistic figure. The reasoning was that the total building costs might come under the initial budget should the later GRIP stage reviews decide, for instance, that the ticket hall is unnecessary. • The Joint Planning Advisory Board, under the Greater Nottingham New Growth Point pledged £1 million in principle. If the remaining monies can be found, hey said, this £1 million will become available. • At one point a funding opportunity did appear to have opened up via Network Rail. It was initially unclear, however, that a share of the £100m “Station Commercial Project Facility Fund” is not intended for the building new stations but rather the refurbishment of existing ones. This application ultimately proved unsuccessful. • Derbyshire County Council needed to prove they could raise the total capital required in order to supplement the £1 million contribution from the Greater Nottingham New Growth Point. This funding source was one hope but became temporarily unavailable until further advice from the government could be provided. It was said that some time after 2014-15 there would be a possibility of a Local Enterprise Partnership fund allocation method, where decisions would be made on a more local level. However, competing interests elsewhere in Derby, Derbyshire, Nottingham and Nottinghamshire would be a challenge. Also the date of 2014 was too late and would mean the Nottingham New Growth funds could have been lost. The County Council has at its disposal a “prudential” borrowing facility. Tax Increment Financing (TIF) is a method by which local authorities borrow against future gains in taxes to subsidise regeneration and development projects. Calculations revealed a suggestion that business rate receipts would increase within a 400m radius of the station site. The TIF scheme was intended to become operational from April 2013, so the County Council would have had to make an earlier proposal to borrow if they were to provide the station at the desired date of December 2013. As you know, development was delayed. An alternative option is for Derbyshire County Council to provide a business plan for a franchising process. The Department for Transport would enter an agreement with a train operating company and the costs taken into account. Network Rail would be the body responsible for maintenance, and Derbyshire County Council, rather than a promoter, would become a chaperone and influencer for an agreement between the DfT and the train company. This is a complex process and the outcome difficult to determine given the various interested parties. The County Council’s transport budget was £4.8 million for 2012-13 and 2013-14. While theoretically possible to divert some of this allocated cash (Integrated Transport budget), it would have been to the detriment of other vital services to the public and in the community. Spread over two financial years, using this allocated fund would mean significant spending – over half of the total available – on a single project. It was possible, nevertheless, to investigate the previously mentioned “prudential borrowing” together with a reallocation of funds from already approved transport projects. This stipulated that work already underway could be subject to budget cuts or hiatus. The Ilkeston Advertiser ran a regular campaign between 2010 -20012, eventually collecting 1,564 signatures. The Ilkeston Advertiser ran a campaign to help spearhead the train station development agenda. These signatures were handed to Downing Street as part of the consideration for gaining support and funding. The site identified for a station was Ilkeston Parkway, off Coronation Road, on the existing Erewash Valley railway line, close to the site of the former Ilkeston junction station with links to Millership Way. Derbyshire County Council was asked to submit a report to Network Rail’s Governance for Railway Investment Projects (GRIP), the 8 stage review process required for any development of infrastructure changes. To bring this page full circle, Ilkeston has been without a station for nearly 50 years. The last couple of years have been an excruciating mix of on again/off again news surrounding development and funding. Jessica Lee is no longer an MP for Erewash although she should be commended on the work she did do. She collaborated with former Ilkeston Advertiser editor Peter Hemmet and lobbied Westminster consistently. The railway link could offer alternatives to cars and buses and perhaps encourage residents to travel to work outside the town by railway. Ilkeston FC fans are pleased that their football travel arrangements for away games (as well as attracting supporters of other team into Ilkeston) seems to have reached a resolution. Individuals and organisations have gone on record to lend their voice to the campaign. It is a cross party issue. “I would like to add my full support for a train station in Ilkeston. This is an excellent campaign and it is really important for the local community I believe in and around Ilkeston to get fully behind this. I am a strong advocate of public transport, using trains every weekday. I am working closely with a number of colleagues in order to promote the Tram Phase III idea from Phoenix Park out to Kimberley and Eastwood. 1) It will help to reduce increasing commuter congestion to and from Nottingham. 2) It will help contribute towards investment in the area, hopefully attracting new business. 3) Building a train station in Ilkeston compliments, for example, the work being undertaken on public transport initiatives in Nottingham with the tram investment. Also, I believe increasing availability of reliable public transport is part of the bigger picture to help us move towards sustainable forms of travel throughout the country, and reducing pollution caused by cars. “Any new station would in all likelihood have to attract the support of a train company running services north to Sheffield, which would also stop at Ilkeston. At the appropriate time, I will gladly make any necessary representations to train companies to highlight the benefits of stopping at Ilkeston. I have also had several meetings with the local authorities and I seek progress from all the relevant authorities in making this much-needed service a reality. “Re-opening Ilkeston Station is seen as a key element in Greater Nottingham Transport thinking. It would serve not only Ilkeston in Erewash but also Awsworth, Cossall and other parts of Broxtowe. The road from Ilkeston to Nottingham is congested and many commuters now drive to Phoenix Park to use the tram. A direct 15 minute rail service would be a great asset. For those reasons the Greater Nottingham Joint Planning Advisory Board (GN JPAB) unanimously voted £1m towards the £5m cost of the station. The next rail franchise is to be let in 2014 and it is anticipated to include a stop at Ilkeston. Providing patronage exceeds 150,000 per annum (Beeston has almost 500,000) this is viable. As the rail industry will not carry the full risk of a shortfall it is up to everyone to ensure that happens. GN JPAB is the only formerly constituted body representing the 8 local authorities in the Greater Nottingham Conurbation. Other Core cities have a Passenger Transport Executive and their local rail network is generally better. However, Nottingham having won awards for public transport is a city determined to succeed. At a recent meeting the constituent local authorities agreed on further joint working through the GN JPAB, Ilkeston station being a prime example of what can be achieved by working together.